Home > Disruptive Change	> The RECESSION: Is it over yet? The RECESSION: Is it over yet? The Recession: Is it over yet? It’s the question many people have been eagerly (and desperately) waiting to have answered since the bottom fell out of the housing market sending the U.S. economy into a tailspin and shaking the national spirit. In the past three years, each small glimmer of hope has been quickly dashed by a jump in the national unemployment rate or plummeting housing prices. But it seems that recently, there has been some good news. Well, sort of. Well it’s great that economists have data showing that our recession ended over a year ago. But what does everyone else think? Is the economy really is recovering? 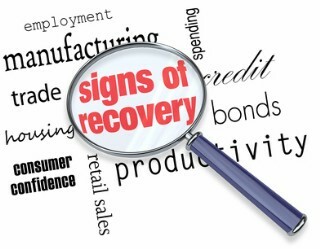 There are several indicators that the U.S. recovery has indeed started and will continue. According to articles by Rick Newman in U.S. News & World Report (December 15, 2010 and December 28, 2010) there are lots of positives: 80 percent of U.S. corporations had higher-than-expected earnings in 2010; the S&P 500 index rose by about 13 percent in 2010 and that came after a 23 percent gain in 2009; the private sector added 1.2 million jobs in 2010; and U.S. exports are increasing which are helping to prop up jobs and revenue. But not everyone is optimistic. Even Kinsbury goes on to remind us that: “There are currently some 14 million unemployed and more than 11 million who either are underemployed or have ceased their search for gainful employment.” And those critical of calling the financial crisis over say there still could be a “double-dip” recession looming on the horizon. In a Dec. 1 2010 piece in Bloomberg Businessweek, Bill Varner reported on the United Nations analysis of the global economy. 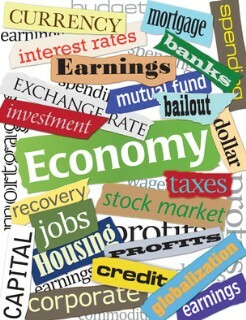 This report called the U.S. recovery fragile and suggested that without more Federal stimulus money geared to job creation, the U.S. economy could still fall victim to a growing unemployment rate and that, coupled with possible recessions in Europe and Japan, could stall an already weak recovery. So what really determines whether or not people believe that the recession is over? The unemployment rate still is expected to hover around 9 percent for at least the next year, and housing prices are expected to continue to fall in most major U.S. cities for the next 12 months, according to David Streitfeld in the January 25 edition of The New York Times. So, while economists may consider the recession to be finished, unemployment and the housing market may be better indicators of how the average American answers the question: Is it over? But regardless of whether the recession is officially over, it appears that consumers have adopted significant changes in their spending habits. One clear example of this was seen in the recent holiday shopping season when shoppers were more likely to make purchases with cash, rather than credit. “Cash is the route I’m taking this year, from past experiences with credit cards and being in debt and trying to pay it off for so many years,” said Liz Gonzalez, a community-college employee in Signal Hill, Calif., in a December 9, 2010 report in The New York Times. Gonzalez seems to be part of a growing norm, rather than an exception. 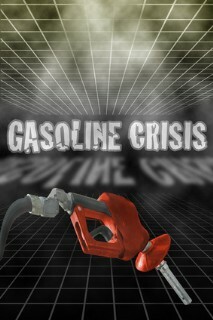 And what about the astronomical rise in gas prices at the pump due to the dramatic chain of events in the Arab world? How will consumers react to this unexpected burden? And just as important, how will businesses that are already struggling for stability cope? In the March 3, 2011 issue of the Economist it is stated explicitly that the price of oil is more of a threat to the world economy than investors seem to think. So now we have a building global crisis revolving around oil. And if that isn’t enough, there is the earthquake and tsunami disaster in Japan which clearly will have global economic impact. So is it over, or will our fragile recovery be stalled? In any case, business survival, stability, and growth will continue to be a challenge.